Take note from self-publishing Outskirts Press author, Becca Mann, who is taking her latest book, The Stolen Dragon of Quanx, on tour – a virtual book tour, that is. 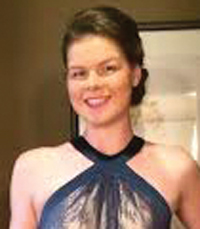 She will be featured on several blogs over the weeks and months ahead so keep your eyes peeled to learn more about her and her book. Luckily for us, Becca was kind enough to answer a few questions as the tour was getting started so that we can give you a sneak peek into the mind of the creator of The Stolen Dragon of Quanx. OP: Tell us a little bit about The Stolen Dragon of Quanx. What is it about? BM: Four uncooperative companions are forced to undertake a dangerous mission to save their world. In undertaking their quest to steal a dragon egg, they hide their identities, which is difficult because everyone is defined by the color of their eyes. Some even need to hide the fact that they are female. They must execute their plan knowing a murderer is amongst them. The story takes unimaginable twists and turns as friendships are made, battles are fought, dragons are met, and secrets are discovered. This is a page turner and you won’t be able to put it down. BM: I’ve been an avid reader my whole life and wanted to experiment with writing, mostly to see where the story would take me. I have such a vivid imagination and I thought it would be fun to see all my crazy ideas come to life. As soon as I started writing, I immediately fell in love with my story and my characters. BM: My book is an action/adventure fantasy. It’s fast paced and meant for young readers, though this is a book that everyone can enjoy. Along with the action, it also has mystery and redemption. Honestly, anyone who likes to read can find something they enjoy in The Stolen Dragon of Quanx. BM: The Stolen Dragon of Quanx is special because of all the thought and emotion that was poured into it. The plot is elaborate, creative, and original. The characters are developed and able to relate to as they grow throughout the story. It also features betrayal, murder, fierce loyalty, bravery, mystery, and suspense. There are also all kinds of secrets in my book—some the reader discovers and some you will learn in the future books. I’m a big re-reader when it comes to amazing books. I especially like when I reread a book and learn that something that happened in the beginning is so important in the end. Or even just little clues which upon first glance seem like nothing, but end up being a huge factor in what happens in the future. My book has plenty of those aspects! So for those readers who like to obsess and reread—this book is for you! There are also simple details that make it special, like how each tribe has its own identity…all the way from names and traditions to insults. The dragons in my book also have their own language—good luck trying to decode it! 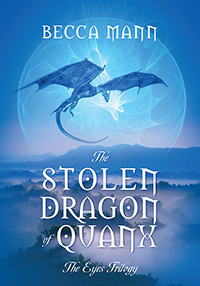 BM: The Stolen Dragon of Quanx is my first published book. It is the first book of The Eyes Trilogy. The second installment is in progress. People keep contacting me and asking where they can get the second one, so I’m feeling the pressure! OP: Thanks for your time, Becca! We look forward to learning more about you as you visit other bloggers!